It was a lovely Saturday morning with great weather and a very enthusiastic 230 runners. We had three milestones this week, celebrating his 250th was our very own Andy Evans. 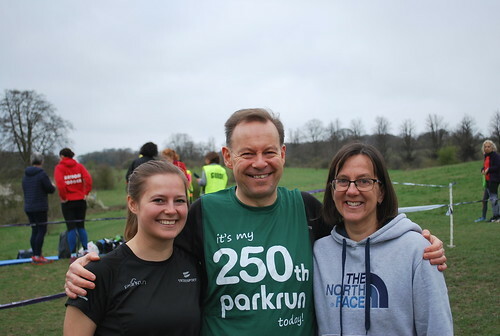 Andy is the Tring parkrun Event Director and was instrumental in setting up Tring back in November 2014. 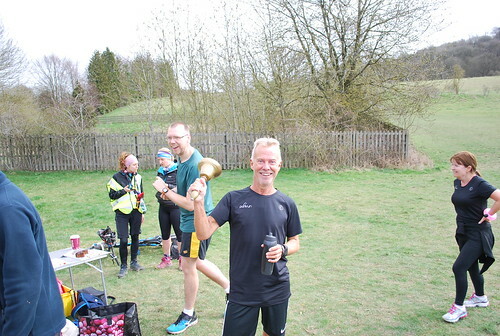 Andy started his parkrunning at Milton Keynes in June 2011 and has run at 34 different parkruns including some in Poland, France and Germany, and has seen 58 of the seconds in his stopwatch bingo, just missing 36 and 43. Andy with wife Ann-Marie and daughter Sophie. 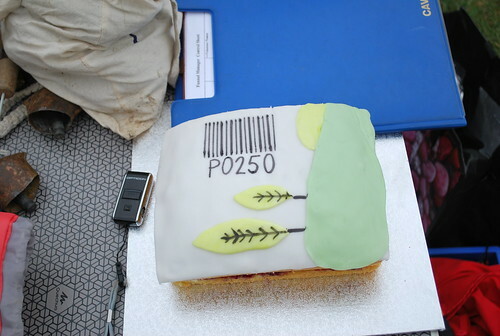 Andy’s amazing 250 cake, apparently a family effort and delicious! Love the barcode! 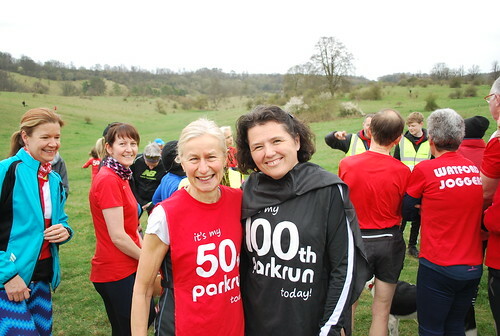 We also had a 100th parkrun for Emma Jeffrey and a 50th for Clare Bonnick both from Watford Joggers who travelled to Tring to celebrate their milestones with 8 other members of the club. We hope you enjoyed the Tring hills. Emma and Clare with their 100 and 50 tabards! 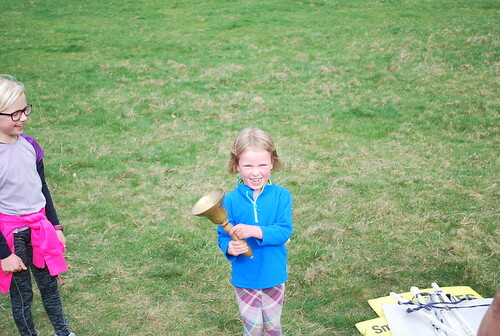 Amazingly we also had 50 PB’s this week which had the PB bell working hard. Congratulations to Damien FORTUNE, Samuel BOJARSKI, Edward MARGETTS, Andy COLLINGS, Dominic CECERE, Phil ROGER, Matthew SKELDING, William LINDARS, Chris NICHOLLS, Noah ROGER, Ollie MOORE, Paul COLLINS, Tim MILLER, Eddie SARTIN, Dennis RAFFETY, Aidan ROBERTS, Brian DAVIDSON, Noah WILD, Julie LINDARS, Johnjo MCDERMOTT, Ben PATTERSON, Thomas PATTERSON, Ian WEST, Adam BEBBINGTON,Steve MORGAN, Emma JEFFREY, Ros PEPPER, Darcey HUDGHTON, Amelie BUNN, Mike HOLDROYD, Sara DARLING, Kelly DICKSON, Marcia QUINN, Kay ISON, Andrew WOOD, Reece ALDWINCKLE, Luciana WALKER, Joanna BRYANT, Clare MURPHY, Caroline LAMBERT, Stephen BROOKMAN, Gill BENNETT, Richard LEA, Deborah LEA, Christine Teresa ROBERTS, Charles ASHWELL, Christine DENNIS, Peggy FLEETWOOD, Pip THOMAS, Leah HOLDROYD. Regular Dennis with the PB bell, his first since April 17. Peggy with the PB bell and a 4 minute improvement! 2 PB’s in two weeks for Clare knocking nearly a minute off! We welcomed 26 first timers to Tring this week with 8 people doing their first ever parkrun. We hope you enjoyed your first parkrun experience and come back soon. 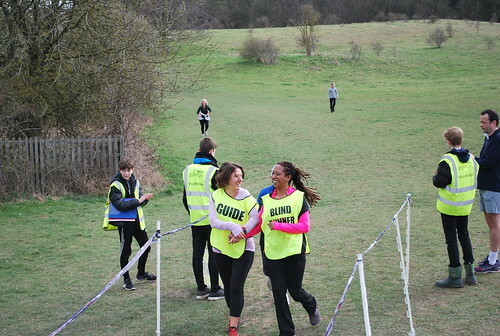 If you would like to volunteer please go the Volunteer Rosta page on our website select your preferred role and email in to tringhelpers@parkrun.com full support and training will be given. First across the line this week for the ladies was Claire Hallissey in 21:36 followed by first timer Jemma Bennett in an aesthetically pleasing 23:23, with Zoe Chamberlain next in 23:40. For the men first timer Seb Brummell was fastest with a time of 19:57 followed by regular Paul Myatt in 20:24 and Damien Fortune with a PB of in 20:53. And now for your regular round up of stats, quite a lot this week! •	Christine Roberts, from Watford Joggers set a new record for the biggest gap between 2 Tring parkruns of 233 parkruns, and Kelly Bond-Vaughan recorded the 3rd longest with her gap of 223 parkruns. •	Mike Holdroyd recorded his 8th PB, the most by any male in our Tring parkrun 5th year (our year starts in November). Deborah Lea recorded her 7th in the same period, the most by any adult female so far in our current year. •	Harry Bryant completed his “Stopwatch Bingo” recording by chance the second “52” the remaining second that he had never seen before. 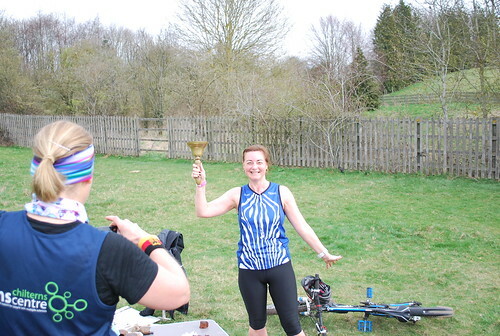 Louise Bladen leads the way for a pure Tring parkrun bingo having seen 59 of the 60 seconds at Tring.